I was invited by the Ministry of Tourism & Creative Economy of the Republic of Indonesia to join their trip called “Minangkabike” to explore West Sumatera. A few weeks before the trip, there was a big event held in the area. Maybe some of you have heard of it. Yup… it was “Tour de Singkarak“, an annual multiple stage bicycle race, also held by the Ministry, and has become a part of the official Union Cycliste Internationale (UCI) International Asia Tour Calendar. Well, the Minangkabike trip was nothing like the Tour de Singkarak. It was more of a fun trip with several passionate travel bloggers to experience the beauty of West Sumatera. But hey.. we also did some biking in several spots and it was actually a.m.a.z.i.n.g!!! I might consider doing some biking activities in my next travel trips because of this. It was so much fun and refreshing! Arriving in Kelok 44, one of the tracks of the Tour de Singkarak, I was hypnotised by the beauty of the landscape before me. 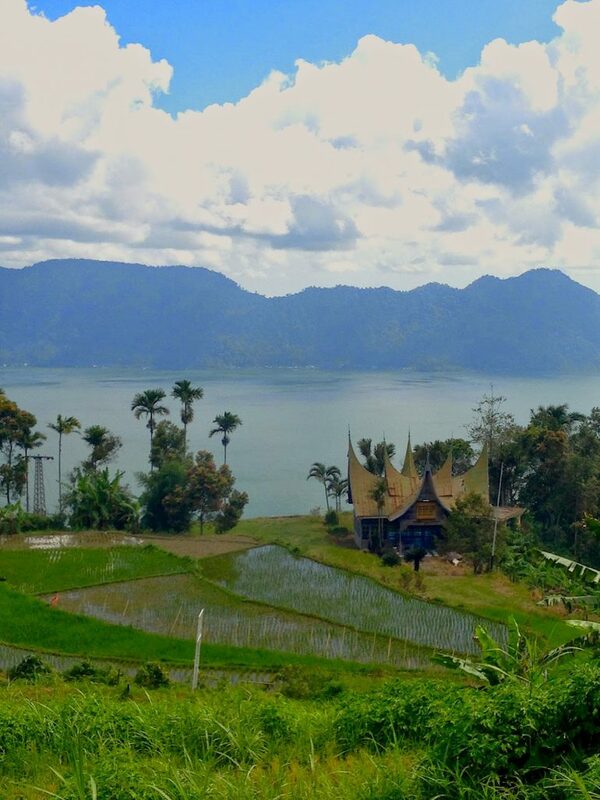 The ancient Lake Maninjau, set within a volcanic crater and perched in the mountain highlands, around 461 meters above sea level, the lake that I only learned from the school text book when I was in the elementary school was actually so much more beautiful than how I imagined it. 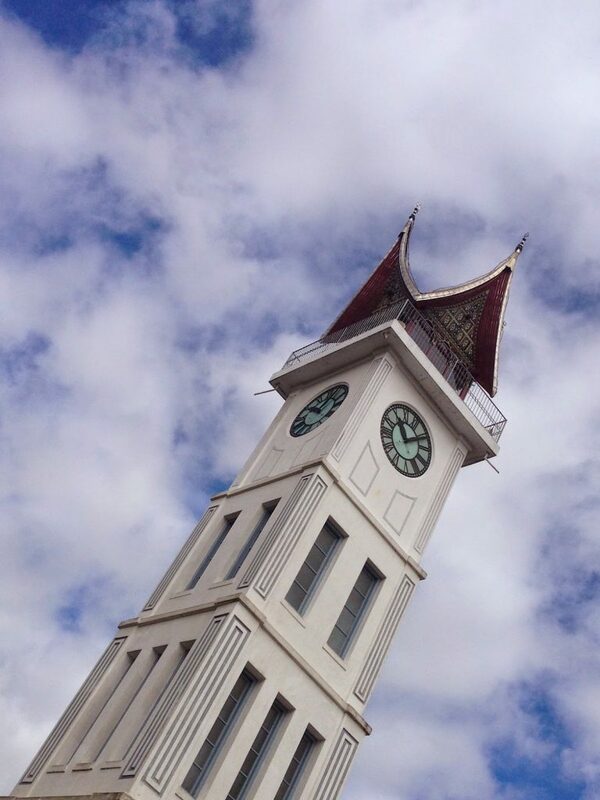 It was such a bright and sunny day when we arrived in the square where the famous Jam Gadang was located. This 26 meter tall clock was built in 1826 as a gift from the Dutch Queen to the city’s secretary, Rook Maker. 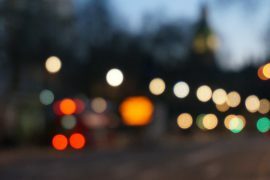 It was believed that this clock has a twin sister, which was the “Big Ben” in London ;). The square served as a park where the locals brought their family for a picnic, or just to enjoy the fresh air. There were some guys wearing cartoon characters costumes like Doraemon, Mickey Mouse, etc to entertain the kids and got some tips from the parents for a pose or two. Some balloon sellers also made a living here. Kids running around, teenagers posing in front of the giant clock, some lovebirds sitting under the trees and teasing each other, this square was really like an amusement park for the locals. And the “Jam Gadang” stood tall and witnessed them all — thousands of kids, families and lovebirds, with all their happy stories and problems — since 1826! Definitely the highlight of this trip, well at least for me! I really LOVED this place. It was drop dead beautiful!! Seriously. Visiting the Harau Valley would definitely make your jaw dropped by its beauty. Your eyes would be spoiled by lush green rice fields laid in between huge granite cliffs. Such an awesome view. Riding a bicycle here, with a smooth fresh air, was definitely something! It really made you feel alive! 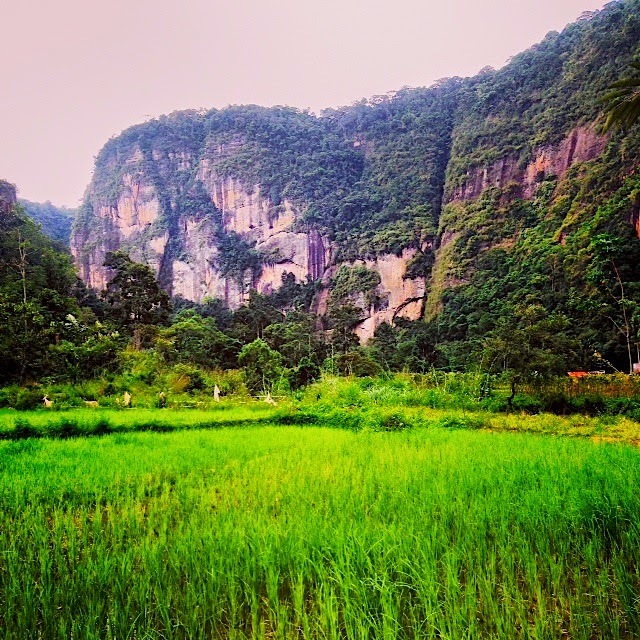 People on twitter, when they knew I was in West Sumatera, always mentioned “Harau Valley” and recommended this place. 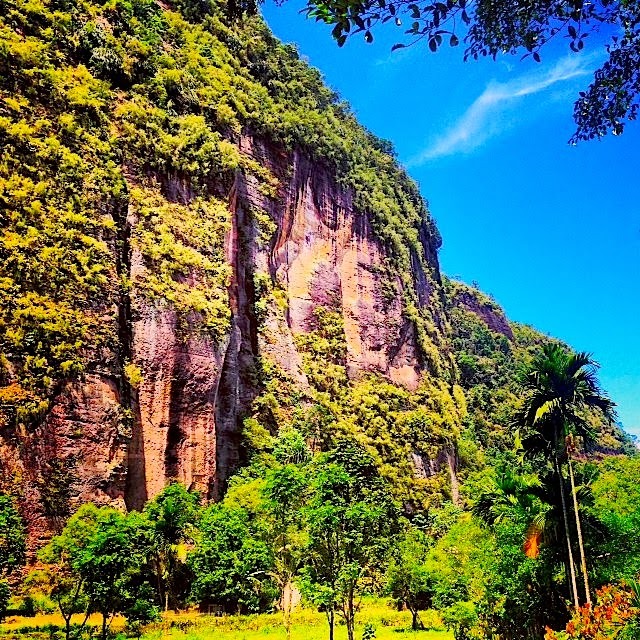 “Must visit Harau Valley” — that’s what they said. At first, I didn’t really take it seriously. I thought it would just be some “normal” valleys. But then.. when finally I got here.. I was speechless! This place was really something. The huge granite cliffs reminded me a bit of Krabi in Thailand, but these cliffs were even more impressive. It was also a perfect spot for wall climbers. There were just so many cliffs around, one could just pick which one they wanted to climb ;). 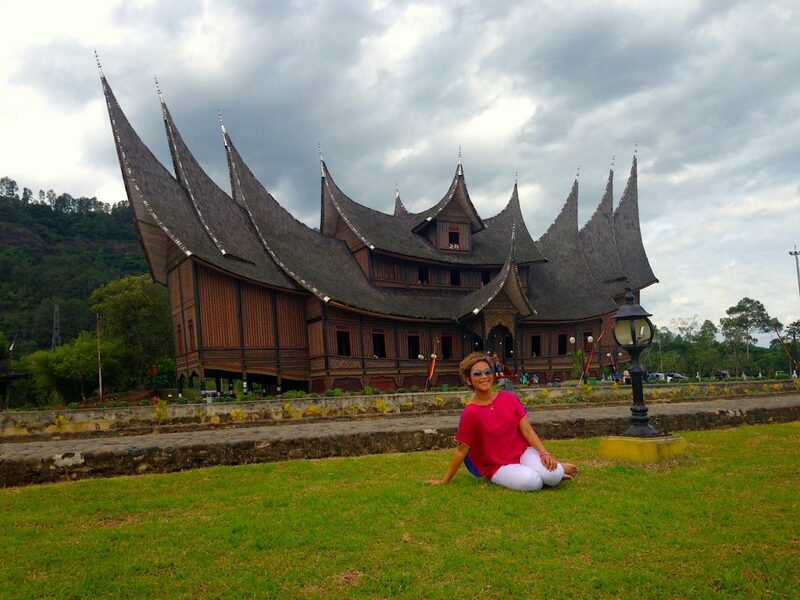 Istana Baso Pagaruyung : An Impressive Traditional Palace! 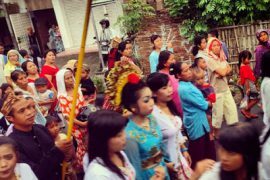 I remember when I was in the elementary school, we had to remember all the traditional dances names, houses, weapons, costumes, etc from each area in Indonesia. Rumah Gadang was one of them. Rumah Gadang, or the Grand House, was an icon of West Sumatera, and still could be found in many parts of the province. 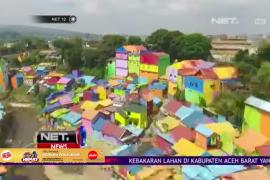 Istana Baso Paguruyung was not a usual rumah gadang. This was the royal palace (istana means royal, in Indonesian language) of the former Pagaruyung Kingdom. Located in Tanjung Emas subdistrict near Batusangkar town, the palace was built in the traditional way with vernacular architectural style and three stories structure plus larger dimension as compared to the “usual” rumah gadang. Today, there was no king or royal family lived in this palace. The building itself actually had been destroyed by fire three times, in 1804, 1966 and 2007 and has been rebuilt again. Now, it served as a popular tourist destination. If you’re lucky, you would see some newly weds in their traditional costume took their wedding pictures here, too! Malin Kundang was one of the famous folktales in Indonesia that originally come from West Sumatera. The story was so popular among kids in Indonesia. 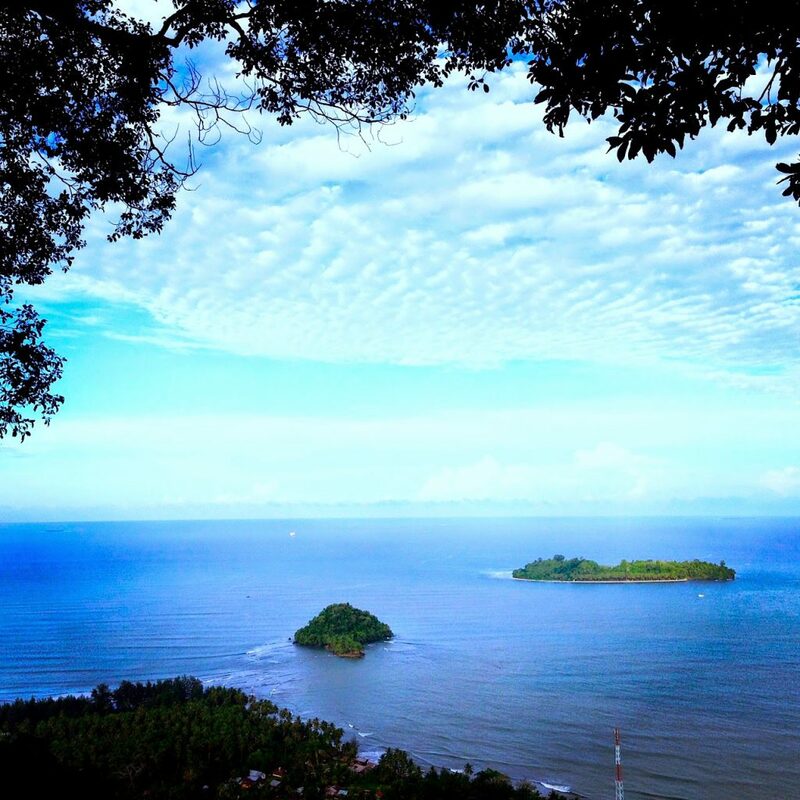 As every folktale, Malin Kundang also has a moral story behind it. It taught kids to obey their mother and be polite to her. One shouldn’t betrayed his/her family, nor mother, or something bad would happen to him/her. Malin Kundang turned into a crying stone as he refused to acknowledge her after traveling to another region and became rich. His mom felt hurt and cursed him. The “crying stone” laid on Air Manis Beach, together with several pieces of his ship, which were also stones. I was skeptical about the sea and beaches in West Sumatera as I always traveled to the Eastern part of Indonesia which were blessed by pristine beaches. But, when I got here and saw the blue ocean in front of me, I’ve changed my mind. 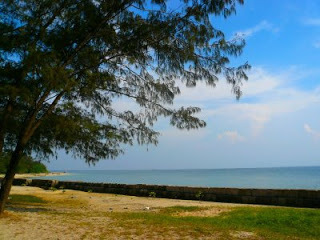 Apparently, the sea in West Sumatera was also pretty! Kelok Sembilan was actually an overpass in Lima Puluh Kota Regency. It has became a favourite spot for travellers to take some photos because of its charming view. The overpass was flanked by green, thick hills and one could see breathtaking view of mountains and valleys from this spot. Some small food stalls selling grilled corn, ice cream, soft drinks and snacks along the road made travellers wanted to stay longer in this spot to enjoy the beauty and fresh air. Indonesia. If I had to choose three words to describe my country, here they’re: Heaven On Earth. For more info about West Sumatera, please visit: www.indonesia.travel. Previous articleMy “Trip & Travel” Column! Next articlePadang Food : Indonesia’s Answer to Apple Pie!